MRI scans are essential to help us diagnose brain cancers. But current techniques can’t always give us the precise information we need about what type or subtype a tumour is, its malignancy, and how far it has spread. Developing new techniques will help us learn more about a brain tumour before we operate. This Fellowship is funding research into new scanning techniques to help us identify sub-types of brain cancer and give us more information about how to treat them. Some cancers that affect children are still very hard to identify and treat, including the brain tumours high-grade glioma (HGG), diffuse intrinsic pontine glioma (DIPG) and medulloblastoma (MB). As different types of tumour respond better to different treatments, the earlier we can identify them, the better we can plan the right treatment. Magnetic resonance imaging (often called an MRI scan) is essential. But although MRI is good at telling us about where and how big a tumour is, it often can’t tell us enough about it. Also, DIPG and HGG both grow in the brain, but it’s hard to see the details. We need to see how far a tumour has really spread in order to treat it properly. This project aims to develop and test advanced MRI techniques that will help. Childhood cancer survivor Phoebe and her friend Alice help to explain Dr Patrick Hales’ research. Dr Hales is researching new scanning techniques to improve brain cancer diagnosis and monitoring of childhood cancer. To work out the best plan of treatment for a child affected by a brain tumour, we need to know a lot about the cancer, including what type it is. But imaging techniques like MRI can only provide limited information, so we can’t plan individual treatment until after surgery. Yet with certain brain tumours an operation is both difficult and risky. So this project aims to help us find out more at an early stage – before surgery. With new techniques, we’ll be able to identify high-risk tumour subtypes earlier on. We could then see which children may need different treatment and more frequent monitoring. Just as importantly, children with lower-risk tumours might be able to have different therapies with lesser side-effects. Where an operation is needed, knowing more in advance could also guide surgeons to a tumour’s most malignant part. And having more information about where it has spread could help them remove all the tumour tissue without taking out any more healthy brain tissue than necessary, reducing the risk of relapse after surgery as well as the risk of neurological damage. These advanced imaging techniques, which can measure the size of a tumour and give information about its blood supply in a non-invasive way, will also help see how well a child is responding to treatment. 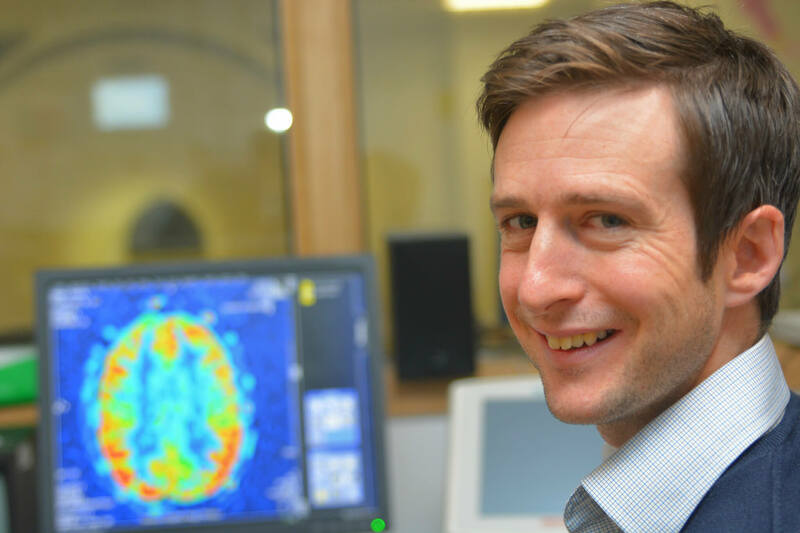 Dr Patrick will be using a technique called diffusion-weighted MRI (DWI) to get information about the structure of a tumour. A similar technique called diffusion tensor imaging (DTI) will give information about the brain tissue around the tumour. He can also measure the blood supply to a tumour with arterial spin labelling (ASL). He’ll use these with children with brain tumours to see if he can find biomarkers that will help predict what the tumour will do. He and his colleagues will also measure how tumours response to treatment. From ICH, Patrick works closely with clinical colleagues at Great Ormond Street Hospital and Birmingham Children’s Hospital, including Professor Andrew Peet, who is also working with funding awarded under our brain tumour initiative. This means that the imaging techniques can be implemented at two of the largest national referral centres for children with cancer, and taken forward into wider clinical trial.